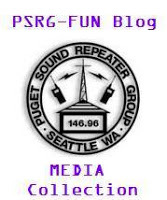 PSRG board meetings are held approximately every other (even) month (Feb, Apr, Jun, Aug, Oct, Dec). Board meetings are open to all who would like to attend, but only board members can vote. We are always open to new ideas and this would be a good place to suggest yours. This is also the best way to keep yourself informed on what is going on with or planned for the repeater and/or the club. Board meetings 2nd Saturday of the month, 1 pm. Salmon Bay Cafe, 5109 Shilshole Ave. N.W., Seattle, 206-782-5539 — unless noted otherwise: July is replaced by the Picnic. January is replaced by the annual meeting. Annual Meeting: Normally held in later January. For information on the last annual meeting, see the 2018 Annual Meeting page. Field Day: Held the last full weekend of June.